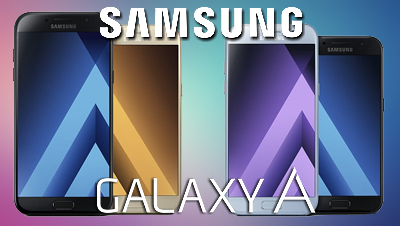 After the success of the Galaxy A5 & A7 last year, Samsung has come out with the 2017 edition for both these models. Both the devices have a metal frame & 3D glass panel which make it look similar to the flagship S7 device and are available in Black Sky & Gold Sand color variants. While the A5 boasts of a 5.2” screen and weighs in at 159 gms with a 3000 mAh battery, the A7 has a 5.7” screen, and device weighing in at 186 grams with a 3600 mAh battery. Samsung has given Full HD Super Amoled panels on both the displays and both are powered by the Exynos 7870 SoC and 3GB RAM with 32GB storage (expandable upto 256 GB via Micro SD slot). Both phones also support Samsung Pay (storing your card details for one tap payment at POS terminals) thanks to NFC & MST compatibility. No more protruding cameras on the models this year thankfully, also a huge improvement with the new 16MP f/1.9 cameras both front and back! Interestingly both devices are IP68 certified which make them water and dust resistant. The Fingerprint scanner is on the Home button, volume keys on the left, power button on the right along with the speaker grill few inches below (that’s a first for any phone! ), SIM slot on the top and finally fast charging and USB Type C port at the bottom. The phone does support Dual SIM 4G as well. In terms of performance, the UI is less bloated and snappy in comparison to last year, running on Android 6.0 (disappointing really, but Samsung is notorious for late updates on all new devices, promises of Nougat update have been made!) under the Touch Wiz UI. Some features from the S7 like the Always on Display make their way to the A5 & A7. The camera has quite a few filters and effects that can also be downloaded from the Galaxy store. The interface is smooth and clutter free. Multitasking and Gaming are handled without any lags when tested with Asphalt 8, FIFA 16, YouTube and around 7-8 more apps all at the same time. Thanks to fast charging, the A5 goes from 0 to 100 percent in just under an hour and the battery lasts well over 24 hours when indoors and on auto brightness. The major issue here would be the price range on both devices bordering pretty close to the One Plus 3T and iPhone 6 which are far superior devices. I am giving these two phones a lower rating mainly due to the disappointingly high price but good overall specs.